Many think because of his ties with new Arizona Cardinals coach Kliff Kingsbury, combined with current quarterback Josh Rosen&apos;s rookie season woes, former Oklahoma quarterback Kyler Murray will be selected by Arizona with the top pick. However, Murray&apos;s size, the fact that Rosen only has one year under his belt - which was with fired coach Steve Wilks - and the team&apos;s need for a stronger defensive line makes it plausible that they do not go for a quarterback. Do not be surprised if defensive end Nick Bosa or even tackle Quinnen Williams end up being selected with the top pick. 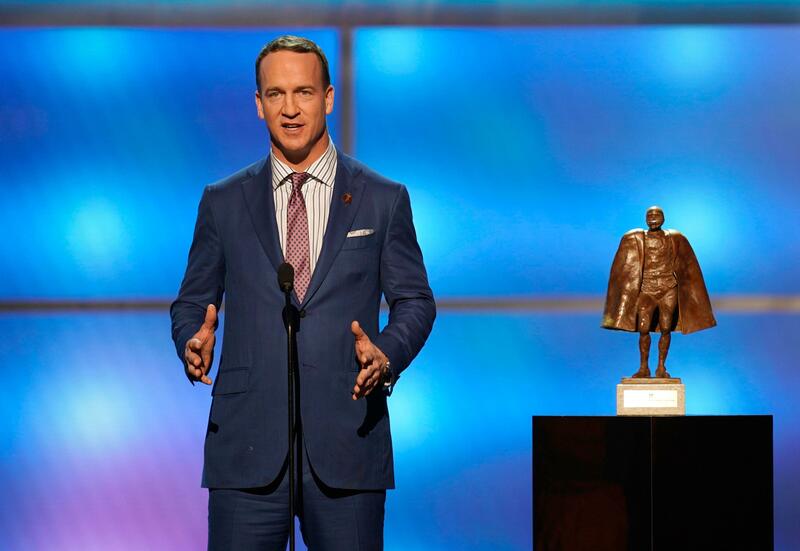 Peyton Manning reportedly won’t be on ‘Monday Night Football,’ so what will ESPN do? Manning is the biggest prize for all networks who broadcast NFL games, but to this point, nobody has been able to lure him into the booth. Peyton Manning didn&apos;t want to join &apos;MNF&apos; When Jason Witten shockingly stepped out of the “MNF” booth and back to the Dallas Cowboys, it opened up one of the biggest jobs in sports journalism. And there was no doubt ESPN would try to get Manning. Posted in Dallas Cowboys, nfl | Comments Off on Peyton Manning reportedly won’t be on ‘Monday Night Football,’ so what will ESPN do? Country music star Tim McGraw watched as Philadelphia hosted the NFL draft in 2017 with more than 250,000 people on hand and immediately had a vision of how to make the three-day event even better: Bring it to Nashville and add the Music City touch. &apos;&apos;My first thought was, &apos;Man I&apos;d love to be down there and do a big concert right in the middle of Broadway down there with the stadium as a backdrop for the weekend of the draft,&apos;&apos;&apos; McGraw said. McGraw will cap Friday night performing on the draft stage across the Cumberland River from Nissan Stadium, home of the NFL&apos;s Tennessee Titans. Bengals head coach Zac Taylor went undrafted out of Nebraska in 2007, but he has a lot of experience with quarterbacks drafted in the first round. Taylor&apos;s first NFL coaching job came with the Dolphins in 2012 and he worked with rookie Ryan Tannehill after Miami selected him with the eighth overall pick. Taylor would leave Miami after the 2015 season and he returned to the NFL in 2017 as the Rams&apos; quarterback coach. Before joining the Raiders as their general manager back in December, Mike Mayock made his NFL draft priorities clear as an analyst. Defensive tackles, by contrast ranked No. 7 overall, but defensive linemen were "consistently" at the top of Mayock&apos;s big board in each of the last six draft classes he evaluated for NFL Media, according to Bhanpuri. Top-rated edge rushers Nick Bosa and Josh Allen each met with the Raiders, and so did defensive tackle Quinnen Williams. If the Arizona Cardinals take quarterback Kyler Murray -- which no longer seems like an inevitability -- then the Silver and Black should be able to select one of those three. The 2019 NFL Draft is only days away. There reportedly could be a shaker in the draft sitting between the 49ers and Raiders. "They seem to really, really want to move down," one NFL executive said to Vacchiano. "There are a lot of coaches and general managers that are several years younger and a lot that have a lot of experience as well but they take their hat off, so to speak, and listen. He delivers with such assurance and such knowledge that, again, it continues to impress on so many levels. Curran: Patriots backed into a corner at tight end The NFL&apos;s Annual Meeting is when the course is set for the league in the upcoming season. Reggie Cobb, a former NFL running back and 49ers scout, died on Saturday from an apparent heart attack. Reggie Cobb, who spent seven years in the NFL as a running back and the past 10 years as a scout for the San Francisco 49ers, died from an apparent heart attack on Saturday, the team announced. Cobb was beginning his 26th season as an NFL scout, and 11th with the 49ers. 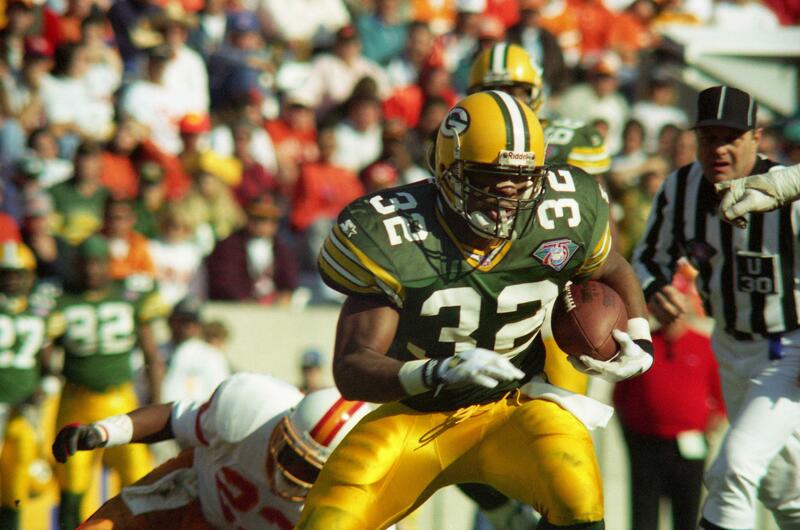 Former NFL running back and Tennessee college star Reggie Cobb died Saturday, according to the San Francisco 49ers. Cobb spent the past 10 years as a scout for the 49ers. "We are devastated by the sudden loss of a tremendous teammate and loyal friend, Reggie Cobb," general manager John Lynch said in a statement. Arizona Cardinals quarterback Josh Rosen spoke publicly for the first time Thursday about the limbo he finds himself in with the team that drafted him last year, telling SI TV that it&apos;s "annoying" but that he "definitely understands the situation." The Cardinals hold the No. 1 pick in next week&apos;s NFL draft and speculation is rampant that the team, with new coach Kliff Kingsbury at the helm, will select former Oklahoma quarterback and Heisman Trophy winner Kyler Murray. "I definitely understand the situation," Rosen told SI TV. "I mean, it&apos;s annoying but, like, it is what it is. You are currently browsing the archives for the nfl category.